Airsoft seems to have no limit to the growth of its player base. Whether you're into the ever-popular MilSim games or the growing base of users who like to play speed soft, there's one thing in common: airsoft guns. 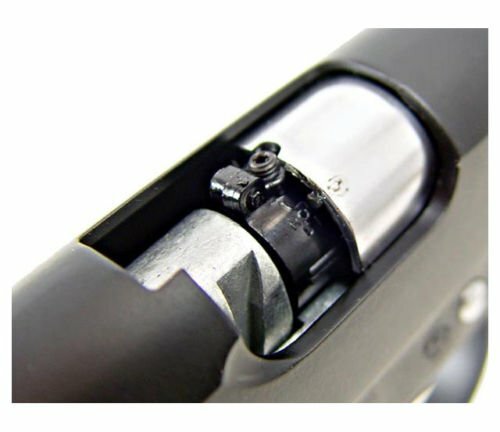 Whether you need to field strip and clear a jam during a game or you just want to push the limits of what your gun can do it's important to understand how they work. Read on and learn how each type of airsoft gun works and the advantages and disadvantages of each. Spring guns are most people's introduction to the sport. These single shot airsoft guns are usually relatively low powered and cheap. There are some exceptions, primarily shotguns, and bolt-action sniper rifles, but for most people, they're going to be training guns. How Do Airsoft Spring-Powered Guns Work? They operate quite simply. The spring is drawn back through some mechanical action on the gun. This might be cocking a slide, drawing back a bolt, or pumping the action on the gun. Afterward, the primed spring is used for a single shot. The spring presses into a pump cylinder and causes air to be released to push the pellet. Most spring guns have a low air velocity in addition to being relatively slow to shoot compared to electric or gas guns. There are, however, high-end rifles and high-quality shotguns which can fire in the 400-700 ft/s range. The rifles are most often used for marksman style applications in milsim styled games while the shotguns are most often used for close-quarters in both milsim and speed airsoft matches. Spring guns do have some advantages, even if you're not going to be investing in a really high-end gun. No External Power - Since you don't need batteries or gas to get your gun going you'll be able to fire in almost any situation. They also perform better in wet weather. Cheap - Spring guns tend to be quite cheap. Most people start out with one, and they're the most common guns around for backyard matches rather than league play. Quiet Operation - In milsim games the relatively smooth operation of a spring gun can offer the user a huge advantage. This is particularly useful in marksman roles where the distance increases the advantage. No Temperature Deviation - In colder weather gas powered guns can become unreliable. This isn't a problem with spring guns. Combined with their resistance to wet weather they're great for inclement conditions. Little Maintenance - Both gas and electric guns require quite a bit of regular maintenance to maintain their velocity and accuracy. Fewer moving parts means that spring guns don't require nearly as much TLC. The simplicity of spring guns works out quite well for them, making them cheap and usable in a wide variety of situations. There are some big downsides as well, however. Lack of Accuracy - Spring guns often isn't as accurate as their competitors. While this isn't true in high-end sniper rifles, it's a common problem with most spring guns. Slow Rate of Fire - Since the spring needs to be manually cocked in between each shot they're not competitive guns at close range. The slower rate of fire compared to AEG and gas guns is the main reason most players switch. The cons that are associated with spring airsoft guns are one of the big reasons they're not used very often in competitive play. They're plenty of fun for at home but going up against AEG or gas guns you'll be at a serious disadvantage. Electric guns are common in competition. Unlike spring guns, which require manual operation for each shot, electric guns use a battery and a gearbox to bring back the spring repeatedly. The spring releases between shots, compressing air and causing the pellet to fire. The battery packs in these guns are rechargeable, but it does lead to limited amounts of firing in the field. AEGs, or automatic electric guns, are the most commonly fielded weapons for those involved in play. They're more expensive than their spring counterparts, but they can reach very high rates of fire which makes them excellent for close-quarters. As a general rule, most electric guns are select-fire. This means they can fire in three round bursts, single shots, and fully automatic. EBBs are also available. Electric blowback guns go through batteries faster but provide a more realistic experience for the user. Their advanced construction allows electric guns to have some pretty amazing advantages over spring guns. They are also differentiated from gas guns in some respects. Cheap to Run - Unlike gas guns, which get expensive in a hurry, battery-powered airsoft guns aren't very expensive to fire. The battery pack only needs to be recharged once it's run low. High Rates of Fire - AEGs are renowned for their higher rates of fire, and it's the main advantage that many people find with them. The gearbox can run remarkably quickly and fire rates of 1500 rounds per minute aren't unheard of though most are substantially lower. AEGs are great for the majority of roles you'll play in an airsoft match. The automatic capabilities and high muzzle velocity make them a favorite for competitive play. No Charging in the Field - Particularly for those who are playing milsim games in the woods, it's hard to charge your gun's batteries in the field once they've run out. Moisture Concerns - Too much moisture can short-circuit the batteries within an electric airsoft gun. This means playing in the rain isn't viable. Expensive - AEGs are rather expensive, especially when compared to spring guns. The high initial cost is one thing, but keep in mind you'll go through BBs quicker as well. The problem with AEGs boils down mostly to the expense and the fact that they can't be used in all weather conditions. They're still the leading choice for most players. Gas guns are the most realistic airsoft guns available. They actually use a system which is remarkably similar to a real firearm and the recoil can be seen as a bonus when using them. How Do Airsoft Gas-Powered Gun Work? They operate pretty simply: a gas cylinder releases pressurized CO2, green gas, or propane and fires the pellet. At the same time, some of the gas is diverted and cycles the action of the gun is pretty much the same process as a semi-automatic firearm. Nowadays they're mostly used to make awesome sidearms rather than for primary weapons. You'll also need to account for the type of gas you're using. As time has gone on, there's been some innovations. The original guns were powered with refrigeration as propellants. In addition to being an environmental hazard, these guns tended to freeze up when shot too rapidly. This is less of a concern with CO2 and isn't a problem with compressed air or nitrogen powered guns. While they still have their place in the field, gas guns have largely been phased out for main weapon usage. The properties of gas guns make them uniquely suitable for sidearms and smaller weapons. 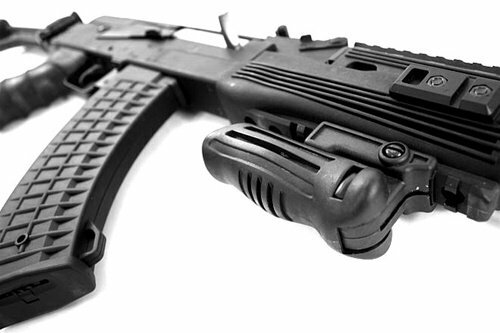 Realistic - Almost all gas airsoft guns operate with a blowback system. This makes them have a realistic feel without needing to expend extra power to do so. Small Mechanisms - While there are AEG-style pistols, they're often underwhelming. Gas guns' small mechanisms allow for a pistol to be used without a huge reduction in power. Easy to Reload - As long as you have more gas canisters with you, you'll be able to reload these guns easily in the field. Fun to fire and easy to keep fed as long as you have the gas for then, gas-powered airsoft guns were a favorite for a long time. The disadvantages have caused them to slowly fall out of favor for most people over the years, however. Not all is perfect with these guns, however, not even as sidearms. Expensive Operation - Gas guns cost more to operate than any other type of airsoft gun. Air-powered guns largely reduce this but CO2, nitrogen, and green gas all add up quickly. Poor Cold Weather Performance - In cold weather gas guns will lock up more quickly. This makes them a bad choice if you're going to be playing in an area where it's regularly cold. Prone to Damage - Gas guns, if not operated with their limitations in mind, are more prone to damage and problems than either spring or electric guns. Simply put: gas guns need decent weather, gas, and a player who's aware of the guns limitations to be used well in the field. They're still useful for those who can deal with them, but the majority of players will be better served with an AEG. So, there you have it. Each type of airsoft gun is particularly well suited for its own purpose. It's hard to call anything the best without taking into advantage your budget and play-style. Now that you have a gun, what else do you need to play? Here's a list of essential airsoft gears.